New Delhi:(05/02/2019) The Vishva Hindu Parishad (VHP) held a two-day grand Dharma Sansad at Prayagraj’s Kumbh Mela last week which was attended by more than 5,000 seers and saints from across the country. The seers and saints m deliberated upon methods to expedite the construction of the Ram temple in Ayodhya. 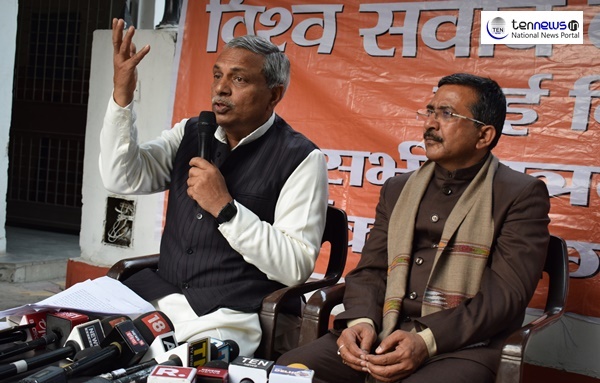 addressing the press conference conveyed the Decisions taken in Dharma Sansad in PrayagRaj especially on Ram Bhoomi.